Jammu and Kashmir, popular for its natural beauty and rich culture. This state is populated with Kashmiris and a minor percentage of other ethnic groups such as the Ladakh, Dogras and Gujjars. The rich culture and landscape of the region are reflected in the traditional dress worn by the people of Jammu and Kashmir. Most of their clothes are made of wool and silk with intricate embroideries. ‘Pheran’ is the most popular form of clothing worn by the men and women of this region. The men of the Hindu community usually wear churidars while the men of the Muslim community are dressed in salwars beneath the formidable ‘pherans’. Besides this, the ‘pathani’ suit, also referred to as ‘Khan-dress’, is a popular wear among the men, particularly in the region of Srinagar. Turbans are very common among the Muslim men. 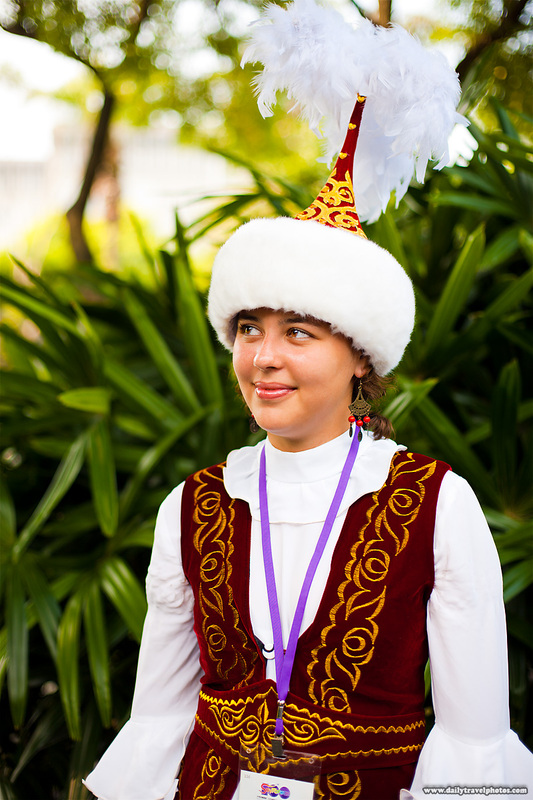 The fur skull caps (‘karakuli’) along with the Pashmina shawls are worn by men to symbolize royal lineage. The men wear lace-free shoes known as Gurgabis. Brocade and camel hair are the main elements that are used in the making of coats for men. The Pashmina shawls are popular all over the world as they are made from traditional woollen fleece obtained from mountain goats. The attractive work done on both sides of these shawls are one of its kind. ‘Kasida’, one special Kashmiri embroidery work, is done in such a manner that the patterns appear in a uniform manner on both sides of the fabric. For the Kashmiri womenfolk as well, ‘pheran’ is their ethnic wear. Traditionally, ‘poots’ and the ‘pheran’ are their main clothes as it comprises of two robes placed atop the other. The ‘pheran’ worn by women are usually designed with attractive zari embroidery works done on the hem line, around pockets and mostly on the collar area. The ‘pherans’ worn by the Muslim women have broad sleeves that reach up to the knee. These are designed in elaborate floral patterns or zari embroideries around the neck and the pockets. These are the prominent feature of a Muslim woman’s ‘pheran’. The long sleeves of this traditional attire are also adorned with brocade patterns. The ‘pheran’ is accompanied by red headgear, ‘kasaba’. The ‘kasaba’ is stitched in the form of a turban and is put together by silver brooches and ornaments. Suspended from the ‘kasaba’ is a pin-scarf which descends towards the shoulder. This is worn by the Muslim women as a part of their regular attire. The ‘abaya’ is also commonly worn by them. For unmarried Muslim women, the costumes are slightly different. The elaborate headgear is replaced by exquisitely ornate skull caps embellished with threads of talismans, gold and gems. In contrast to this, the Hindus of Jammu and Kashmir wear their ‘pherans’ long which stretches up to their feet with narrowed down sleeves. The womenfolk of this community also wear a headdress called the ‘taranga’. This headdress is stitched to a suspended cap and it narrows down at the back, towards the heels. Among the Hindu community, the ‘taranga’ is an integral part of the wedding attire. 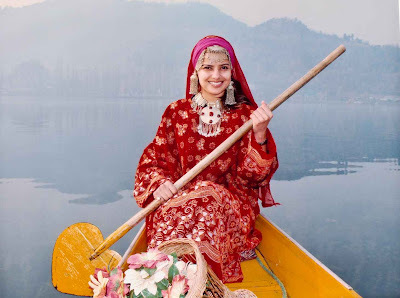 The intricate pattern of the traditional clothes worn by the womenfolk in Jammu and Kashmir are further heightened by various exotic accessories. Some of the most popular are earrings, anklets and bangles apart from the use of ornamentation in clothing. Silver jewellery such as neck pieces, bracelets and heavily bejeweled chains are worn by the Muslim women. Similarly, golden pendants ‘Dejharoos’ are worn by the Hindu women. The ‘dejharoos’ comprises of two decorative gold pendants which are suspended through gold chains or silk threads. This pendents are also a symbol of a woman’s married status among the Kashmiri Pandits. 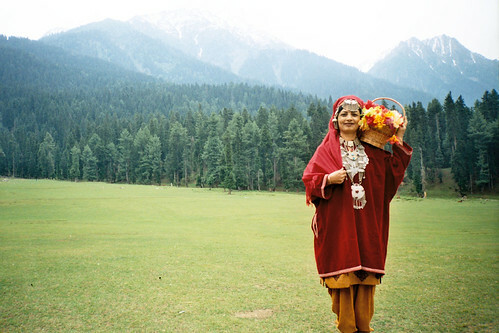 The traditional dress of Jammu & Kashmir also includes the delicate Cashmere wool products and Kashmiri Shawls. These Shawls are popular in the world for the elegant material and exotic embroidery applied on them. The most precious of them are the Shawls prepared with Pashmina Wool which is also combined with the rabbit fur. Pashmina wool is obtained from the native Ibex that lives on the high altitude on 14,000 ft. Similarly, the Shawls those are prepared in Ladakh with Shahtoosh wool are also very rare and considered very expensive. Shahtoosh wool comes from the Chiru antelope and nowadays this is enlisted as endangered. So there is a ban imposed by the authorities on the trade of Shahtoosh. The Pheran for Kashmiri women is more stunning and graceful with the heavy embroidery and has broad sleeves. 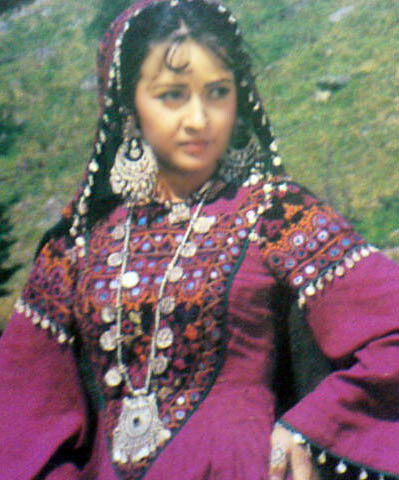 Pheran is considered a combination of Indian and Iranian clothing. 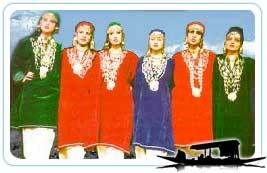 The Hindu Kashmiri women also use Pheran as their dress with a little distinction. A Hindu woman’s Pheran touches her foot which is tied at the waist with folded material called lhungi. Their dress is fully embellished with brocade including the head-dress called Taranga. The men’s wear for the Kahmiri Hindus mainly includes Churidar Pajama and they use the beautiful skull caps without a shawl. In Ladakh, the popular Ladakhi dress is Goncha which is normally an ample robe of a thick woolen cloth and which is supported with a brilliant belt tied around the waist. The loose trousers are used with Goncha and both the males and the females use this dress with a slight variation. As it is mentioned earlier, the most attractive feature is the colorful waist ( Kamar Bund ) and in the festive or ceremonial occasions the chromatic and showy robes are worn. 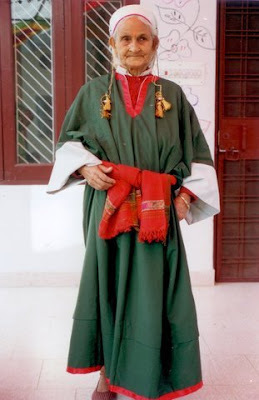 The other appealing component of the dress of a Ladakhi woman is “Peark”. Peark is actually a headgear prepared with the coating of black lamb decorated with turquoise stones that appears a cobra’s hood and tapering to a thin tail reaching down the back. Some Ladakhi women also wear another robe known as “Kuntop” with the additional attire, i-e actually a fascinating and colorful shawl and it is called as “Bok”.